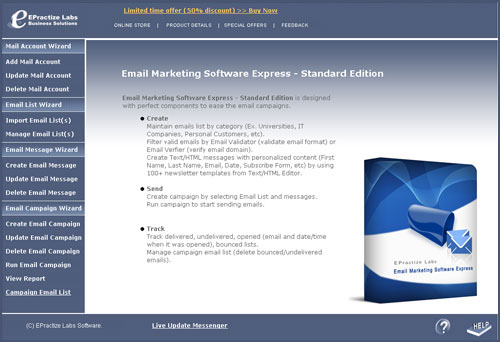 Email Marketing Software Express Standard Edition 2.0.2 - Download Win Apps. Email list management and HTML email sender software. Software to build email list and email newsletter, a high-impact email promotion with complete tracking. Minimum 256 MB of RAM, 32 bit True Color with minimum resolution of 1024X768.